A sample of the type of pew made by Kibbutz Lavi. This is their "Classical" style. t's time to replace the old, worn out wooden bench seats in our sanctuary with new, elegant, more comfortable theater style seats from Kibbutz Lavi. 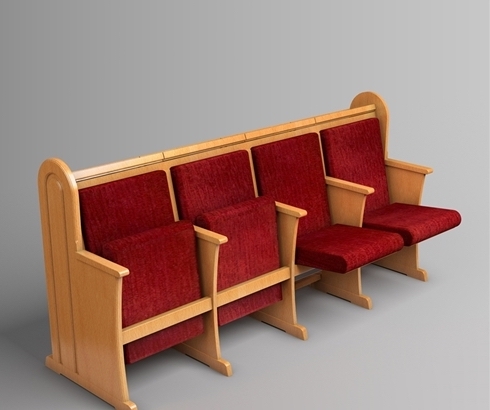 With your help and generosity, we would like to have these new seats installed in our sanctuary before the High Holidays. In order to secure that delivery date, we must raise $50,000 by June 30, 2018. All donations of $2,000 or more will be honored with a special plaque to be fixed onto one row of these seats.